Nobody wants to go to the dentist if they can avoid it. All dental diseases are preventible if they are seen to quickly and early.  Research has proved beyond doubt that when it comes to caring for your teeth and gums, preventive dentistry is the best way of avoiding any potential problems. Our hygienists play a key role in helping to maintain your oral health. Seeing the hygienist helps you to take the best possible care of your teeth and gums so that you can avoid problems, particularly those associated with gum disease. The early symptoms of gum disease often go unnoticed, yet in its later stages it can cause teeth to become loose and even fall out. Our hygienist can help to bring gum disease under control, and will also give help and advice on how to care for your teeth and gums, and how to avoid issues such as bad breath. Seeing the dentist regularly is an essential part of preventive care too. They examine your mouth carefully for signs of any areas of concern, from tooth decay and erosion to mouth cancer. By seeing them as often as is recommended, they can spot any issues at an early stage. 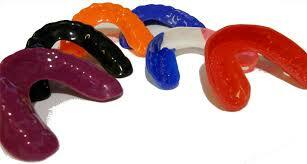 Sports mouthguards are vital for sports. They help to protect teeth and gums from injuries that could otherwise be devastating. It is important that such mouthguards are professionally made, so they fit properly and comfortably and offer maximum protection. Finally our preventive dentistry also extends to our sterilisation procedures. There are very strict guidelines laid down to prevent cross-infection. We not only adhere to these, but go way beyond them, using state-of-the-art sterilisation procedures to ensure the safety of our patients and staff.